An interview with Bas Ambachtsheer, managing director of Cofely West Nederland BV and Cofely Energy Solutions. Bas and I have known each other for quite a while. We met when he worked for Fokker services, the business I used to provide an example, in step three of this book, of uncopyability. A few years ago Bas was asked to become managing director of Cofely and he took the Bitsing method with him to his new company. Cofely is a technological service provider and forms part of GDF Suez Energy Services, one of the biggest energy suppliers in the world, with 220,000 employees and more than €90 billion turnover. Cofely Energy Solutions supplies integrated technological solutions for sustainable and energy-efficient, fixed property applications, as well as related advice, design, financing, implementation, maintenance, management and agency services. You’re likely to come across people from Cofely in nearly any business you visit. Their characteristic, branded clothing identifies them. And it is, indeed, a company that stands out! It was Cofely, for instance, that built the energy distribution network for the London 2012 Olympic Park. This was one of the biggest energy projects ever implemented in the United Kingdom, with two, ultramodern, sustainable power stations feeding a network of 16 km, while achieving a 50% reduction in emissions. 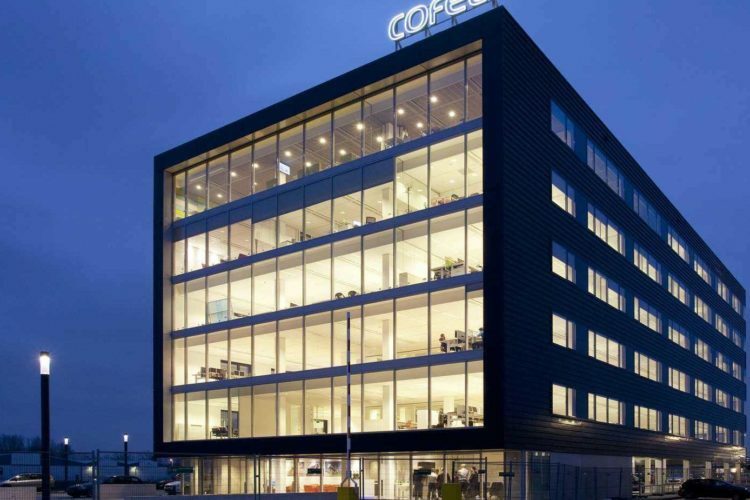 Cofely is also active in the Netherlands. Together with the Amsterdam City Council it developed ‘Amsterdam’s greenest Island’, on the Oosterdok island and the Ijdok. There a Cofely heat/cold storage system supplies connected buildings with energy, reducing fossil fuel requirements by 65%. Kofi employs about 6,000 people in the Netherlands and has a turnover of at least €1 billion. As I’ve said, Bas first came into contact with Bitsing while previously employed by Fokker Services. There he was involved in the development of a new business line, which was structured from the outset to employ a go-to-market strategy developed with the help of the BiTSing method. Since then he has been vocal in his praise of the clear differentiation Bitsing can deliver to a business via the Golden Egg concept, as well as its effect in given direction to commercial strategy. Bitsing had played a crucial role during the entire process of (a) determining products and markets, (b) defining the operational process and (c) enabling development and growth of the business line, all of which fell under his responsibility. Bas has also ensured that Bitsing played a prominent role at Cofely, from the time he took up his new position there. ”Our overall strategy made it clear to us that it was important to add new services to our portfolio, coupled with ambitious turnover goals. We therefore started a new business unit in 2010, focused on integrated technological solutions for sustainable and energy efficient real estate applications. Such initiatives, of course, require investment. Which is why CFOs really appreciate Bitsing. They relate to its sharp focus, clear structure and concrete ROI predictions. The autonomous growth curve used in our multi-year business plan was therefore also completely based on Bitsing methodology. Bitsing also enabled us to construct a ‘paper blueprint’ of the intended unit and to thoroughly test the viability of its underlying strategic focus. This gave rise to an enjoyable yet intensive process, which took a few weeks and was stacked with revelations. This process is particularly enjoyable when it involves the whole team. If you already have the capability of developing something within one or two days, then the value of Bitsing is already apparent as it takes you from a zero base to achieving something that’s really very significant, in a very short period of time. The experience of using it is always one of moving from knowing very little to becoming extremely aware of the relevant issues. In addition, Bitsing gives you so much insight into where you should and should not direct your focus. It ensures that you build on the positive aspects. For example, the Bitsing process provided us with a totally different focus on the issue of identifying our prospective client. And we immediately used this insight to implement changes in how we were structuring the planned business unit. “Following introduction in January 2010, Cofely Energy Solutions was profitable, for the first time, by 2011. Consistent and close adherence to the Bitsing strategy ensured that turnover grew from € 8 million in 2011 to € 15 million in 2012. Turnover nearly doubled. This year our profit will grow exponentially and, again, this has to do with a number of focal points revealed by the Bitsing process. We’re now really in a phase in which the business is beginning to fly. ”I use Bitsing constantly. It really helps me manage the business. And it makes sense to use it in every phase of business development. From start-up, throughout the business development phase and, once it’s achieved a steady state, in phases in which a boost is required. I can rely on Bitsing to always provide the right direction, relevant feedback and a mechanism for steering progress. In a start-up situation it certainly provides so much more direction than the usual process of analysing market reports and so on. The methodology is pragmatic, it’s to the point, and it provides a model with a clear beginning and end point. For these reasons it has become an integral part of our DNA. Take uncopyability, for instance. It’s a brilliant concept – very clearly perceived by customers and it lifts your game to a new level! ”I always use Bitsing methodology when explaining our sales processes. As a result, our entire sales team lives and breathes Bitsing. The methodology is so clear and its basis so easy to explain that everyone can master it, in the shortest time. Having said that, there is also a learning curve. Over time the relationship between the Bitsing elements becomes increasingly clear – as a result of which, your own effectiveness also increases. From this point of view, Bitsing is a continuous improvement process, which directly addresses the question of why one does or does not sell. And when things do go wrong, it delivers a sort of ‘final judgement’ as to the reasons why. This also helps to inspire and infuse my sales team. Through Bitsing they understand what they’re doing and this increases their job satisfaction. Bitsing injects structure and craftsmanship into their side of the business – in a way normally only associated with operational roles – and it provides rewards in the form of success. Their reaction is, ‘At last! Here you really get taught how to sell – and to generate turnover.’ One notices, of course, that the people who are successful in selling are those who understand Bitsing. ”So now they all know what to do concerning hit rates, customer visits and so on. They understand that the T (for Traffic) only really has value when the B and I also have value. The Bitsing method is central to my approach to sales and has directed me to teach my people to initially only focus on the B and I. They may not sell until these phases have been filled in! And it works! In the beginning they all said, ‘An appointment? No problem. I’m able to get them.’ But the sales calls they had in mind didn’t really count. They do occur in the T phase, but they aren’t the kind of traffic or contact that produces sales. These appointments should rather have been used to give the B and I substance. People have to get used to this. These prior steps are necessary, before you can talk start talking about making a sale. But the process works incredibly well. What happens is that the prospect makes his own conclusions and, before the meeting is over, is saying things like, ‘Well, that means that I should be interested in this…and need more information on that…’ and so on. ”This also highlights one of the biggest failings in sales – that the B and I are seen to be less important and are often ranked lower than they should be. This comes because people think, ‘They already know us’. But how well do they really know you? In my experience, one tends to conclude that people know you before they really do. The answer to the question, ‘Do you know what we do?’ is often, ‘No’. In practice, this meant getting the entire salesforce to hold back: ‘Guys, for the first 10 minutes I want you to relax and just talk about Cofely’. ”Another good thing about Bitsing is that, when you approach it as a team, it gives rise to a better plan. We have also benefited very much from our involvement in the process itself. Bitsing means that everyone speaks the same language, uses the same terms and begins to think in the same way. In this way it also really helps in directing the business towards greater effectiveness. If people are spending increasingly more hours on a customer without results, one can conclude that something is wrong with the B and the I. Bitsing helps us to check where we are in the process and to manage our progress. This also helps me arrange teams consisting of people with complementary skills. People who are good in the B and I areas, but also people that are good in closing the deal. I encourage them to use each other’s strengths.